For the past few season the 18's season has been cut short (typically ending sometime in April). This season, Texas Eclipse is extending the season for 18 Under Armour through June to include AAU Girls’ Junior Nationals (in addition to USAV Girls’ Junior Nationals). 18U Practices will begin mid-November and we will have scheduled breaks in April and May (i.e. for Prom, Graduation, etc). Teams will have three opportunities during the season to qualify for USAV Nationals (AVC 18’s Qualifier, Lone Star Classic, and Lone Star Regionals). If 18UA qualifies for USAV Nationals, they will play USAV Nationals and AAU Junior Nationals. If 18UA does not qualify for USAV Nationals, they will play at AAU Nationals. AAU Nationals is mid-June in Orlando, Florida. This will give our players more practice time and competition later into the summer as they prepare to play in college. This will also allow our players that have to play in the 18U division as juniors (based off of their birthdate) the needed additional training time they have typically missed out on in the past. If you have any questions, please contact Heather Anderson at heather@txeclipse.org. 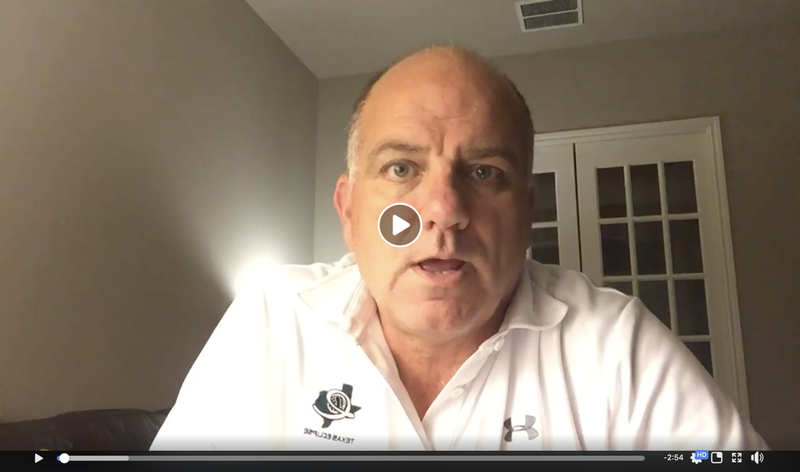 Please also see Texas Eclipse’s president (Greg Watts) Facebook Live video (below) for more details about the 2018-2019 18U season. Don’t forget to sign up for tryouts on Saturday, July 21st 8:00-11:00am and Sunday, July 22nd 5:00-8:00pm: https://www.txeclipse.org/tryouts.